Bring the power and fun of the Force to any room with this cordless, battery operated mini light! Featuring a stylized illustrations your favorite Star Wars character, it is simple to install and uses LED bulbs that never get hot to the touch. 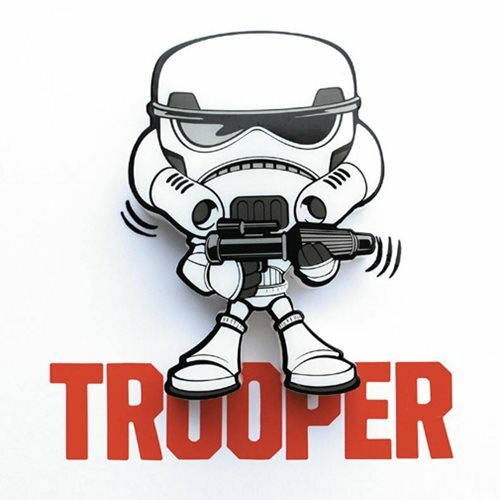 The Star Wars Stormtrooper Mini 3D Light looks great on and off and comes with a 3D logo sticker. Measures approximately 5-inches in height by 3 3/4-inches in width. Ages 13 and up.